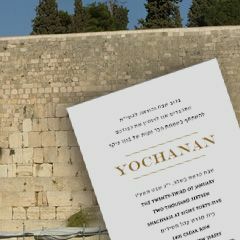 This Amudim Ketubbah is brilliantly illustrated and depicts major themes of Judaism with scenes from the holy land supported by classic pillars. Represented below are the open book with scenes from creation. Optional monogram. 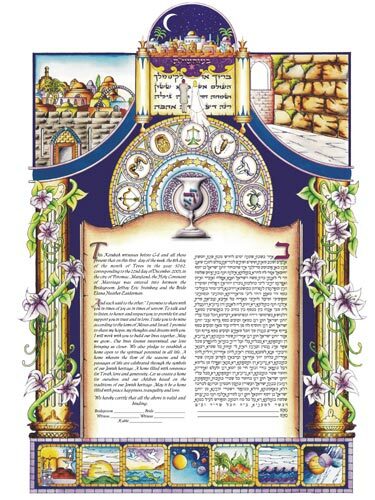 Ketubah Size: 12.5" x 17.5"